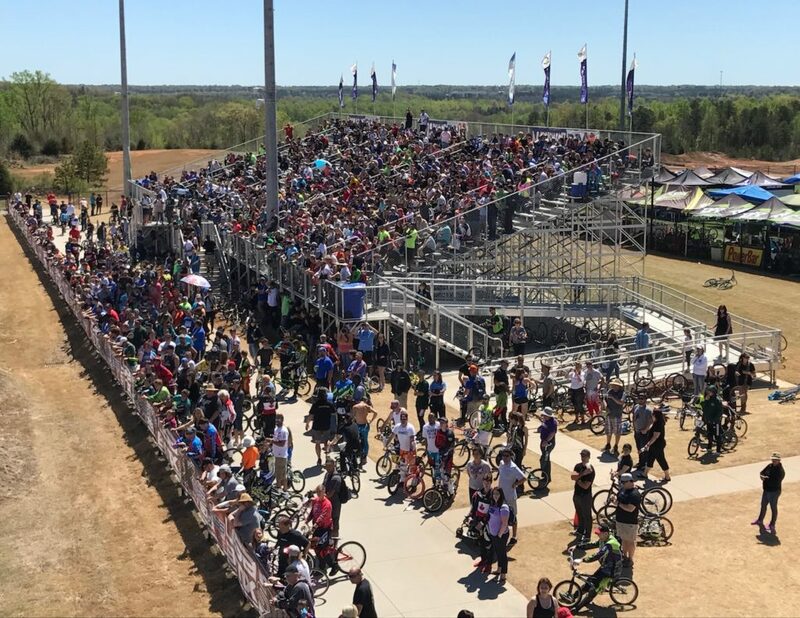 Rock Hill, SC has been a location that the Chase BMX riders know very well, with it being a staple on the UCI BMX World Cup over the past few season, as well as a stop on the USA BMX National tour. 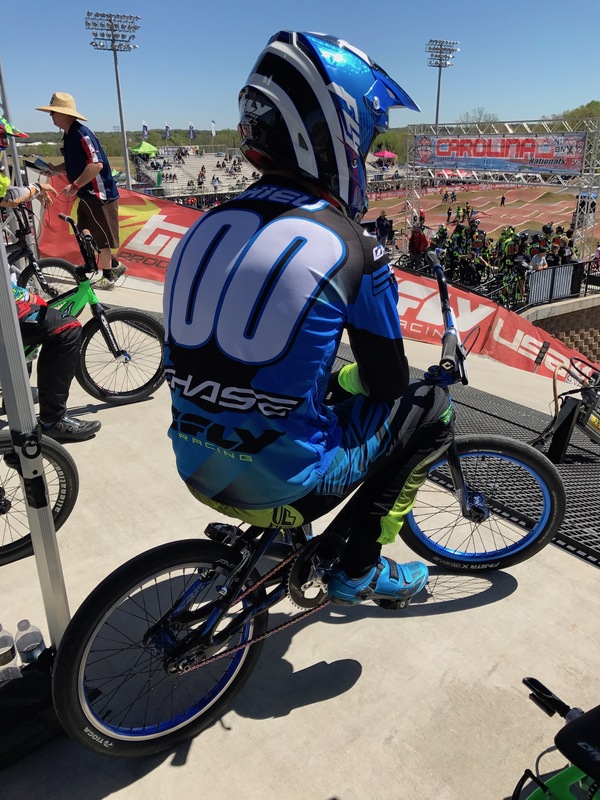 This season, its not only one of the USA BMX NASX tour stops, the location for the USA Cycling Elite National Championships (held on Friday night), but later this summer, it will be the location for the UCI BMX World Championships. 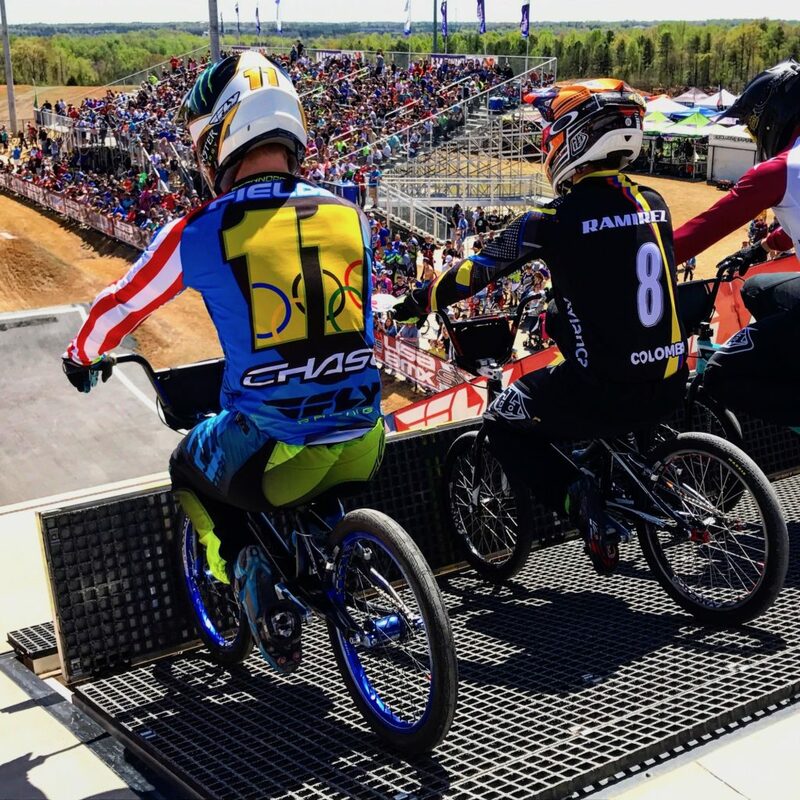 On Friday afternoon, Connor Fields made it back from his ankle injury he suffered in Oldsmar just 4 weeks ago, to line up for a chance to keep his current USA Cycling National Championship. For Connor, it was a victory to just be back on the gate after this bad injury, but in typical Fields form, he not only was on track, but out front most of the day. When the gate dropped for the main event, Connor was just off the pace and was held back to 3rd for the night. Still a very impressive result for many reason, but once again, just showing this champions true determination! Romain Mahieu was in Rock Hill, racing on his Chase ACT 1.0 Carbon frame, looking fast once again. The fans were out in Full force in Rock Hill. 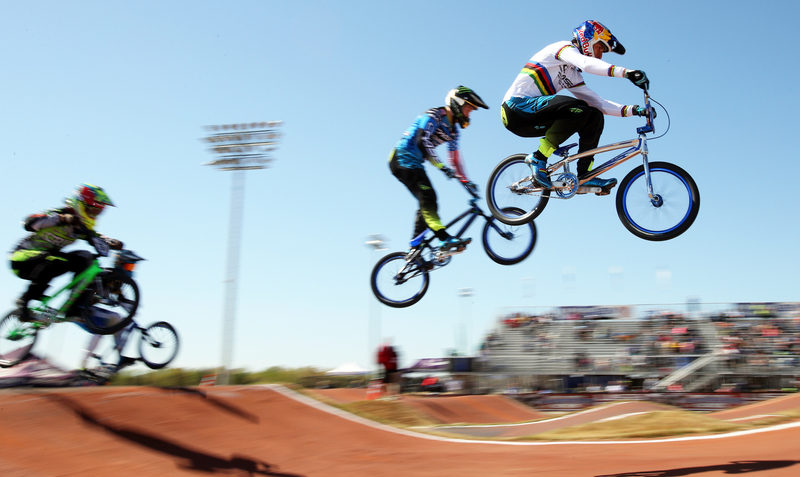 This was the largest race of the year for the USA BMX tour. 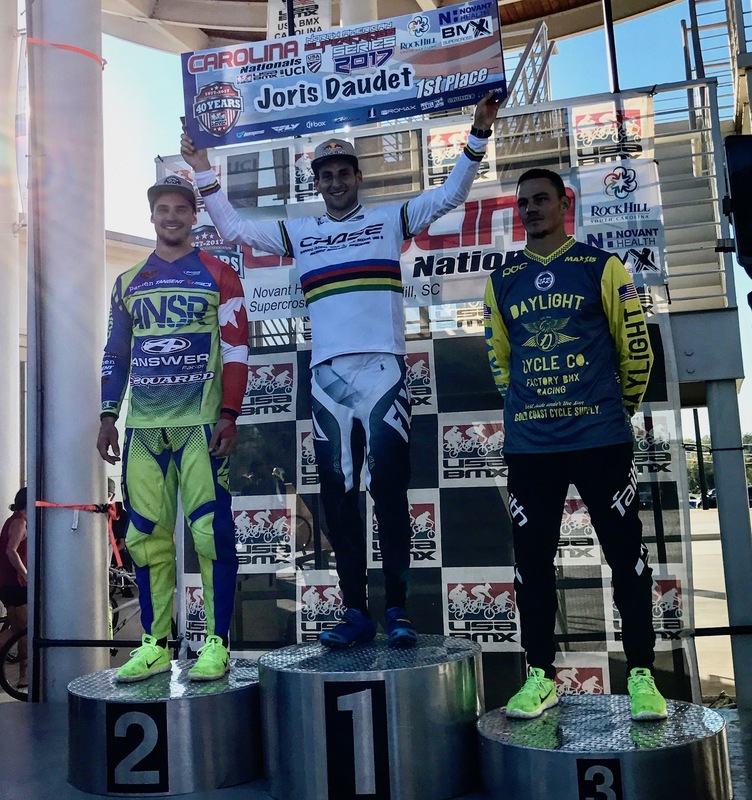 Joris Daudet was once again the quickest rider on the USA BMX tour on Saturday. Joris had a great battle with Maris Strombergs down the 2nd straightaway and once he made the pass on Maris, Joris was gone, taking the win! 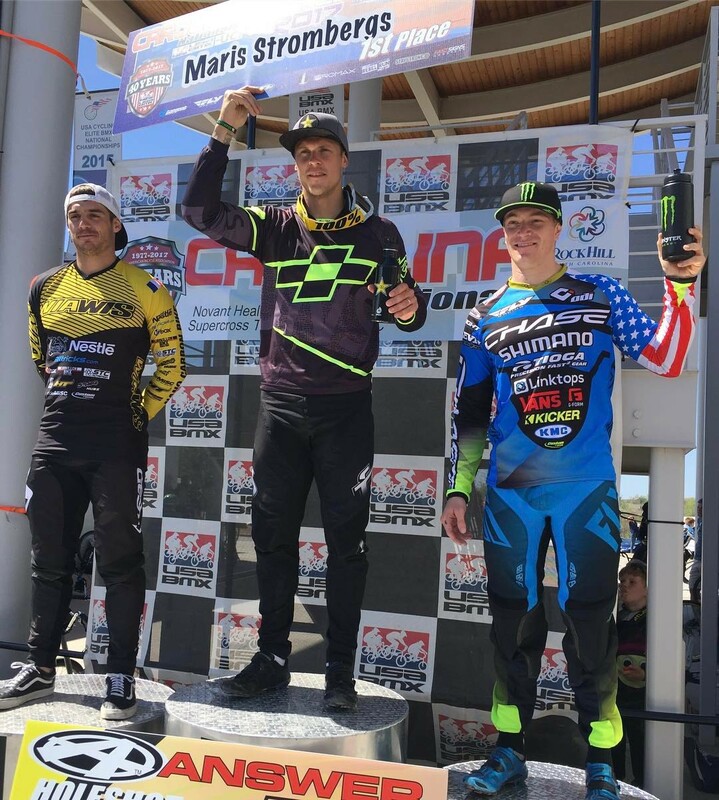 Joris adds to his 2017 USA BMX Pro wins, and extending his points lead.